This dining table brings your formal dining room an Old World traditional look. Crafted from select hardwoods, cherry and burl veneers, the table features a shaped table top with edge trim and bookmatch veneer top for visual interest. The table top extends from 77.5 inches long to 95.5 inches long with one 18-inch leaf to accommodate varying numbers of diners. 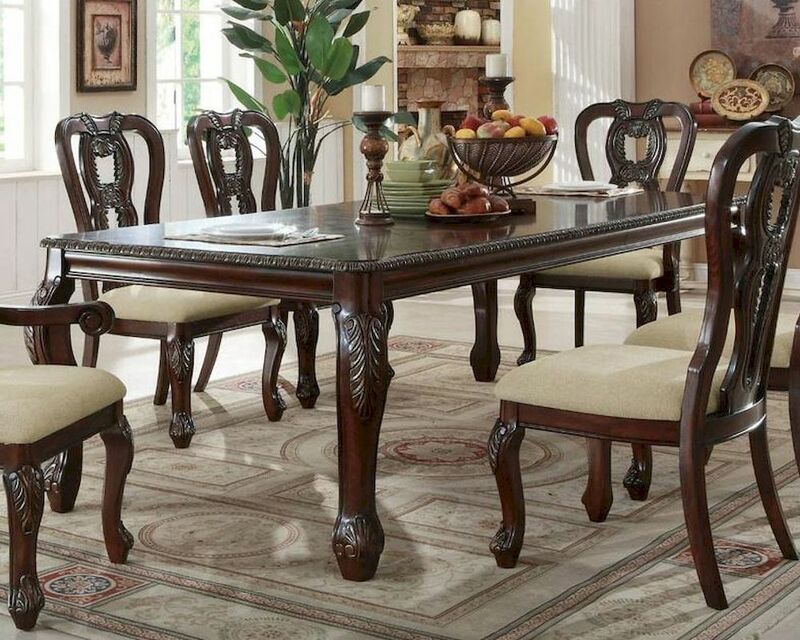 The table's cabriole legs with intricate acanthus leaf motif complete the impressive style. 1 x 18" Table Leaf Extends Table to 95.5"